The Global Search for Education: Which Digital Device Is Best? 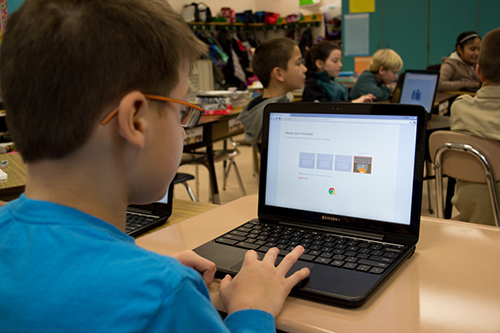 Which digital device is the better learning tool for students - a Chromebook or an iPad? If you're not aware of the hottest current digital device debate, you're probably not a parent or an educator. Once upon a time, that debate might have been about VHS vs. Beta, or Mac vs. PC. However, in prime time ed tech school district circles, folks are fiercely focused on Chromebooks vs. iPads (both now below $400). The big question? Which is the smarter purchase for their students? On the flip side of the classroom debate, Mom and Dad might not like the fact that portable digital tools are becoming more and more invasive. However, how's a parent to ignore these must-have lightweight mobile monsters, which are antiquating the family desktop and nurturing independence? Not to mention all your kids' friends seem to have one. So which digital device is best? 1. Check with your school. What are the learning needs of your child? What kinds of initiatives are your child's school currently implementing? These are important questions for parents before they head into the mobile device market. Some schools are a part of "GAFE" (Google Apps For Education) and others may be embarking on some sort of iOS one-to-one initiative. Before you make a purchase, check with your child's school to see if there are any suggestions that would help parallel the learning taking place in the classroom. This will make your job easier as a parent when it comes to training, and will provide your child with an advantage in the classroom. 2. Restrictions can be your friend (and enemy). Both iPads and Chromebooks have some ability to limit what your kids are doing on these devices. Chrome OS allows parents to put a "Supervised User" on the device to enforce SafeSearch and monitor web traffic. iOS lets parents place age-appropriate restrictions, white-list certain websites, and even lock down the device to a certain app (called "Guided Access" mode). All that being said, these restrictions and filters are good only if you don't let them lull you into a false sense of security. A double-barreled approach of age appropriate restrictions coupled with constant conversation with your kids are more effective measures for preventing your kids from getting into trouble on the web. If you live in an area with limited wireless access, you'll want to consider that when purchasing your child's device. Both Chromebooks and iPads have powerful web uses, but in terms of offline usability, the iPad has a bit of an advantage with its bevy of local native apps. Even though Chromebooks are increasing their amount of offline apps, the device is still largely web-dependent. You should be aware of your wireless situation when purchasing one of these devices for your child. 4. Life is about teachable moments. With a device in his hands, your child now has access to everything in the world, both good and bad. Like when you were a kid, they will make mistakes. Your gut reaction will be to take away the device when something goes awry. Avoid doing that if at all possible. The device is just a conduit to a poor choice or bad decision. Taking away the device does two things. For one, it means you only fixed the conduit (temporarily) but didn't address the actual behavior. The other reason this isn't advisable is that you are trying to gain trust and increase communication with your child. By taking away the device after that first mistake of for example, chatting rudely online, your child won't be so apt to share when something inappropriate happens in the future for fear of the technology being taken away. 5. Don't take the easy way out. Keeping devices out of the hands of your kids, locking them away, turning off the internet and generally "avoiding the problem" with technology is much easier to do as a parent. It means you don't have to deal with online privacy concerns, social media posting, crazy selfies, and cyberbullying. While it sounds all well and good to shelter your child from the world, the truth of the matter is you aren't doing your kid any favors by taking the easy way out. Rather than avoiding the problem, embrace it. Take the opportunity to set limits with your child when you purchase their first iPad, Chromebook or any other device. Make it an open dialogue and know that while they may have the tech know-how, you hold the experiences of life. 1. It's not about the device. The device choice is irrelevant if educators don't apply certain changes to their learning environment and instruction. Sure, the iPad does video projects and visual arts better, and the Chromebook is better for collaboration and writing, but each is capable of doing what the other does. It just looks different. You have to have buy-in and belief that every kid having their own device is a value-add. Without that, debating the choice of device is misguided energy. 2. Don't make it all about control. Some educators shudder at the thought of every single student in their class having anytime access to the world at his fingertips. Companies are making fortunes creating ways for teachers and IT departments to control these devices. While there needs to be some level of oversight and age-appropriate restrictions, you should never choose a device based on how well you can control it. If educators are focused on control first, they are missing the bigger picture of teaching kids to learn self-control. 3. Focus on the learning objective. In an ideal world, your students would have access to multiple devices based on the learning objective. As crazy as that sounds, most adults seem to have a two-device minimum on their persons. While a two or three-to-one device ratio would be great, the reality is students just need access to a variety of tools based on needs. 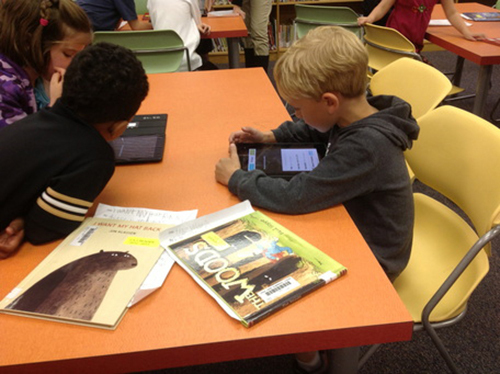 The good news is with the variety of apps and web resources, students just need access to those tools. 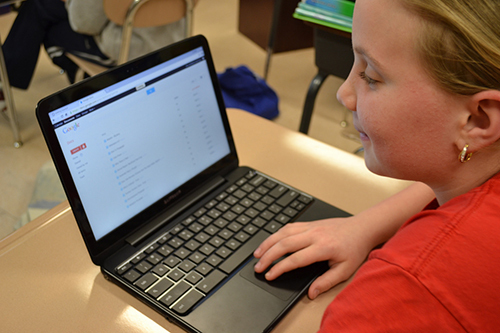 Chromebooks and iPads provide a relatively inexpensive way to have that access. In the "traditional-modern" version of the classroom, desks appear in rows or possibly sets of tables. If there are computers, they are usually in the back of the room, against the wall in a station type set up. Getting access to technology for all students in this type of environment usually involves a weekly trip to the computer lab for 45 minutes. However, with ubiquitous access to mobile devices, there no longer is the need for that. Along with that shift, schools need to look inward at how flexible the learning environment is in classrooms. Now, with everything truly mobile, why would you confine your students to a static space? Much like the device need, the space where your students learn should be as dynamic as the access they now have at their fingertips. Increased access to mobile devices and flexible spaces are great tools for creating a dynamic learning environment for your students. However, without a shift in pedagogical practice, the device and space are rendered nothing more than substitutive tools in nature. If the learning environment is still teacher-centered and lecture-based, having iPads and Chromebooks can in fact be a great distraction for the teacher. An active, student-centered approach where the focus is on content creation versus content consumption is the more effective way to utilize these devices. Not only does that shift take the "need for control" aspect out of teaching, it also empowers the student to take control of his/her own learning. An environment that encourages collaboration, problem-solving, and communication means students are applying their learning in a much more powerful way. 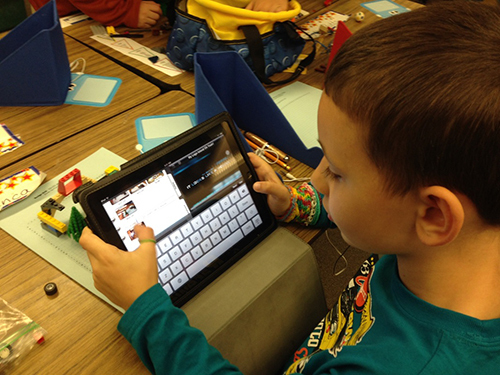 This is not a new approach by any means, but having iPads or Chromebooks in your class makes it much more possible.